From the announcement of the earthquake of 5.9 on the Richter scale, which occurred Saturday, October 6 off the city of Port-de-Paix https://www.haitilibre.com/en/news-25744-haiti-flash-earthquake-of-59-in-the-north-of-haiti.html , The Ambassador of the European Union Vincent Degert addressed to the President of the Republic and the Prime Minister his condolences to the families of the victims and express his full solidarity with the authorities of the country and the population. 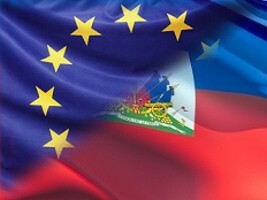 "As a committed partner of Haiti, the European Union is saddened by this new natural disaster affecting the country. We welcome the diligent efforts of the Haitian State to provide emergency assistance to the victims and we stand with the authorities to complement national efforts," said the diplomat. Through the European Commission for Humanitarian Aid and Civil Protection (ECHO), the European Union deployed a team of experts in the field, coordinated by the Haitian Civil Protection Directorate (DPC), to participate in the assessment of humanitarian needs. The European Union has several partner organizations in the affected areas and stands ready to provide assistance to the population according to the needs that will be identified and required by the DPC.